Rules: Frost Hero Required;. 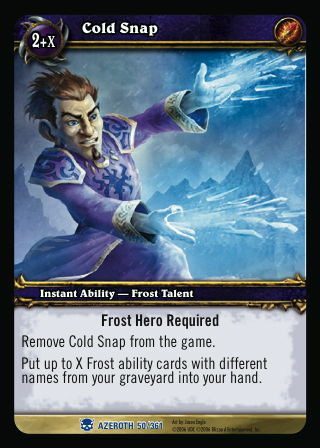 ; Remove Cold Snap from the game. ; Put up to X Frost ability cards with different names from your graveyard into your hand.